With the summer months finally upon us and, shock horror, actual nice weather, maybe it's time to head to the water and try something a little more XXXtreme, bro. Like for instance, with Pyranha's new and improved Jed. The Jed kayak offers a far longer design than most its competitors, which allows for a more fluid distribution of volume, with comparatively slicey ends for easier trick initiation. That bit of extra length also makes the Jed faster on a wave and smoother on end in a hole. It's not for the faint of heart, but if you're hoping to push your kayaking skills to the max, this is the way to do it. The Jed has already proved to be a really popular model in the kayaking community, with everyone from pro freestylers to total newbies swearing by its unique design. And with a full progressive rocker (for a really fast, loose hull), overthruster (for maximum pop on aerial moves) and a seat with three-way adjustment, the Pyranha Jed is a must-have for those who prefer less komfortable kayaking. 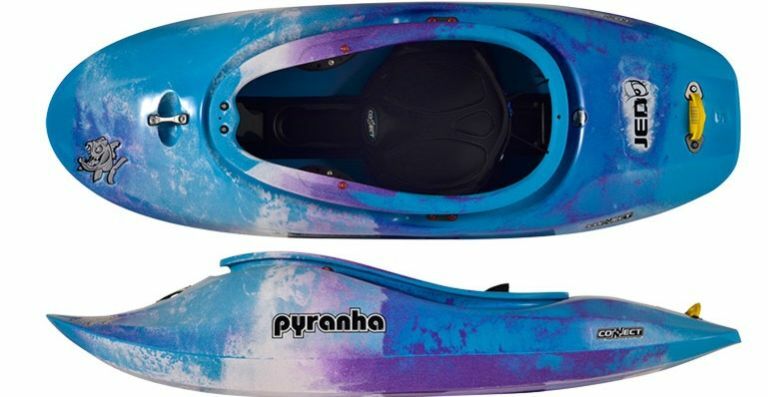 Pyranha Jed is available from Go Kayaking for £629.10.